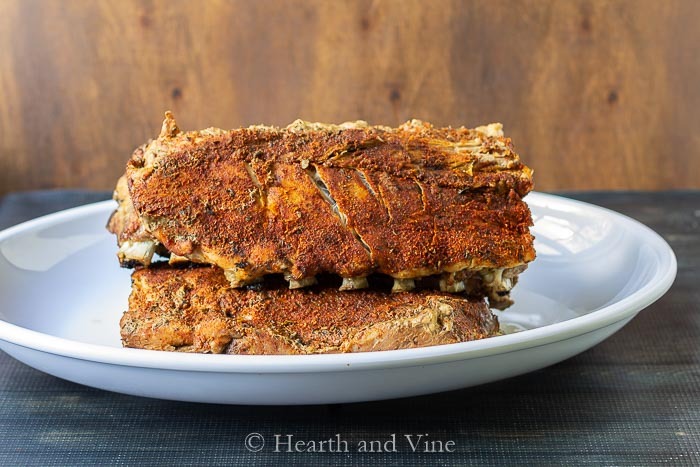 This recipe for slow cooker ribs is a breeze to make, using a homemade tasty dry rub, that’s sure to please everyone at the table. 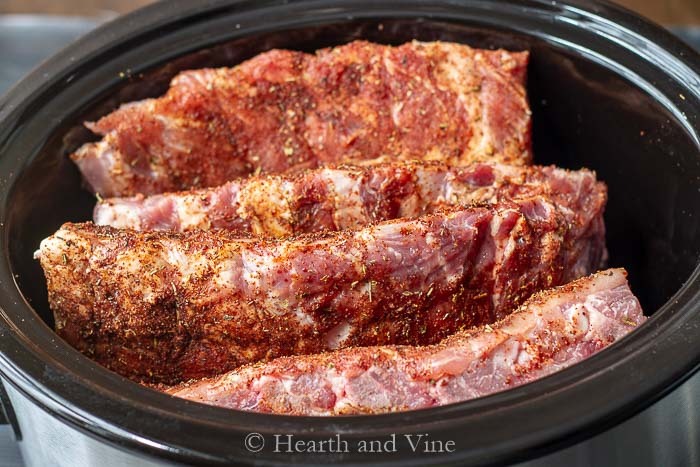 One of the easiest dishes I like to make at home is slow cooker ribs. I used to think this was only something you could get at a restaurant. However, once I tried making them at home in a slow cooker, I was amazed at how easy it was to make this delicious dish. Just a few minutes of time in the morning, and you have a delicious meal waiting for you at dinner time. All you have to do is rinse off the ribs and cut them into slabs to fit the slow cooker. In this example I’m using baby back ribs, but you can use larger ribs if that’s what you prefer or can find in the store. Then liberally coat them with a nice dry rub. 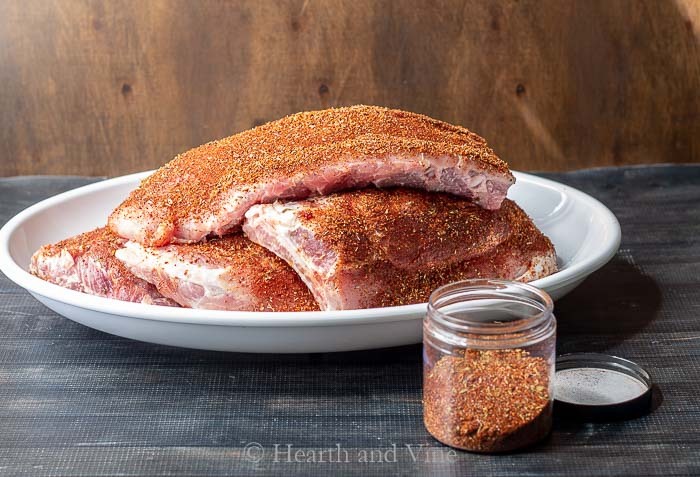 I use my own homemade BBQ rub, but you can usually find one in the grocery store or purchase a dry rub online . Place the slabs on end in the slow cookers. There will be a large amount of grease in the bottom, which is why I like to stand the ribs up in the pot. If you only have a few hours to cook them, you can try cooking on high heat. You’ll know that they are perfectly done when they’re falling off the bone. 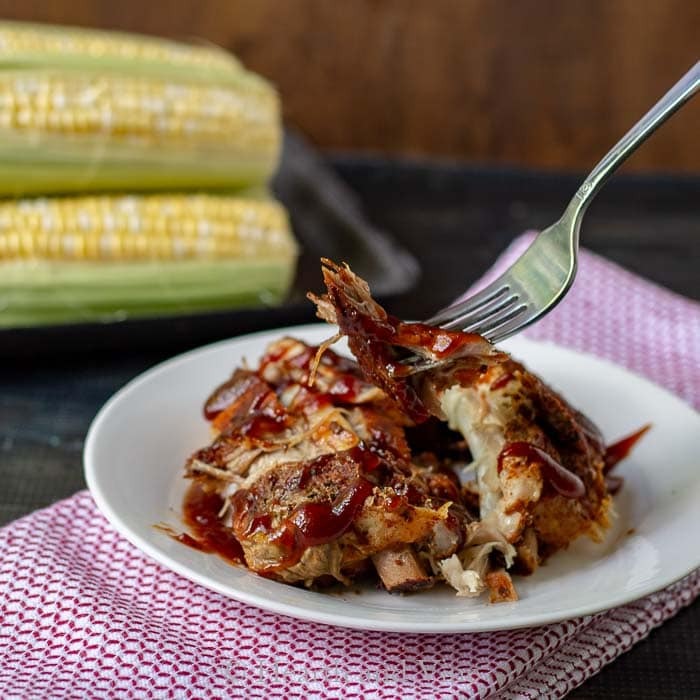 Serve immediately, or place them on a cookie sheet drizzled with barbecue sauce. Place the cookie sheet under the broiler for 5 minutes for added barbecue flavor. Skip the sauce and you have a great low-carb dinner that’s so satisfying and delicious.